TRON, one of the most popular dApp platforms, is establishing a blockchain game fund: TRON Arcade. The company is looking to invest up to $100 million in gaming projects over the next 3 years, building the foundation for a robust blockchain gaming ecosystem. The rising star among dApp platforms TRON has stated that the company is looking to implement foundational changes in its blockchain gaming ecosystem. According to the company’s Nov. 29th press release, the fund, named TRON Arcade, is expected to attract investments reaching up to $100 million within 3 years from its launch. TRON’s main goal for the fund is to empower developers to create and introduce new games into its autonomous ecosystem. The company expects the project will contribute to building a strong community of content and entertainment, as said in the release. The company’s newly launched blockchain game fund is regarded by TRON enthusiasts as a bold way to fundamentally change the gaming industry. Furthermore, the company plans on taking the model and applying it to other industries such as charity, enterprise solutions, consumer internet, social media, and entertainment. TRON’s mission of leveraging blockchain to benefit both the betting and the entertainment industry was made possible by the acquisition of BitTorrent. Project Atlas will combine BitTorrent, the world’s largest peer-to-peer file sharing protocol, with the power of blockchain to create a token economy that will optimize content distribution and provide content creators with the tools they need to expand. Not only could the launch of TRON Arcade cement the company as a leader in blockchain technology implementation; TRON has also had an incredibly successful month. 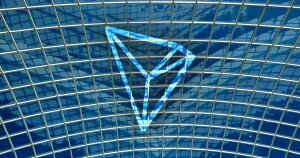 TRON (TRX) showed substantial growth, surging 32 percent between Nov. 28 and Nov. 29. According to analytics website dapp.review, the TRON Network has surpassed Ethereum in dApp transaction volume. On Nov. 16th, the dApp TRONbet alone had registered 550 thousand transactions, the largest of any dApp on the TRON and Ethereum networks.